Dr. Rickman joined the Lehigh University faculty in 1993 after postdoctoral appointments at the University of Michigan and Argonne National Laboratory. He did his graduate work in physics at Carnegie Mellon University and his undergraduate work in physics and mathematics at Miami University. His many research interests include the development of computer simulation methodologies for describing fluids and solids, defect energetics and dynamics and the kinetics of phase transformations. He has received several honors including the NSF Young Investigator Award, the Chambers Junior Professorship, the Class of ‘61 Professorship and the Culler Prize (Miami University). 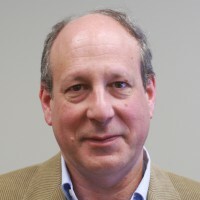 He is also a member of several honor societies including Phi Beta Kappa, Phi Kappa Phi and Sigma Xi, has served as the chair of the computational materials science and engineering committee of the TMS and is a Fellow of ASM International.